It’s Eat Better, Eat Together Month, and we have healthy recipes for you to eat with your family and loved ones, whether it’s a big family gathering or a busy weeknight. First up is a Healthy 7-Layer Dip which is perfect for your next family get-together. This Fall Potluck Casserole with Turkey and Squash is comfort food at its finest. This holiday season, make Sweet Potato Unstuffing for a perfect combo of fall flavors. Looking for something light for a game day party? 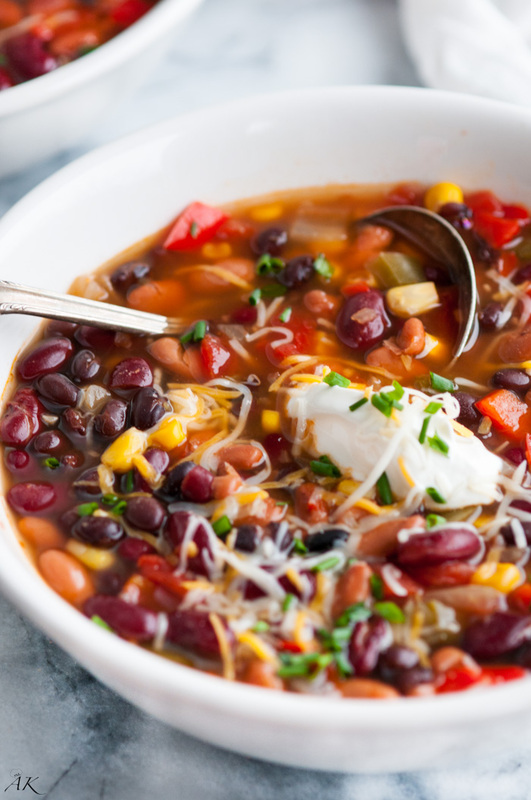 Try Slow Cooker 3-Bean Chili. Lighten up your family party staple with Skinny Broccoli Salad. Dinner will be easy, flavorful, and delicious with this Teriyaki Chicken Casserole. Need a beautiful dessert that will get the kids to eat their fruit? Try a Healthy Fruit Pizza.